Our unique Joseph Gillott reversible pen holder with the delicate and flexible 659 nib is ideal for Copperplate scribes and most mapping and drawing work. Item Code:431 04 Cretacolor Nib Holder with a clamping lever mechanism for easy handling. Manuscript's range of calligraphy gift inks are washable / non-waterproof jewel-like inks available in 9 colours, including 2 metallic colours. 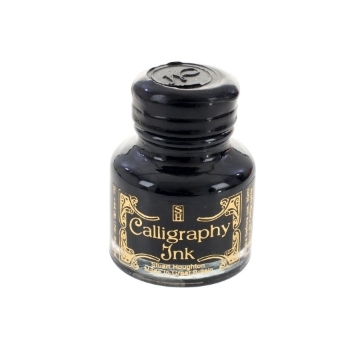 These inks are available in attractive bottles, perfect for multi-coloured calligraphy projects. 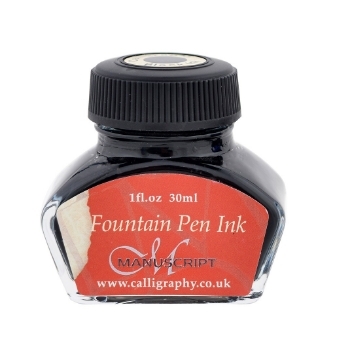 This range of inks is suitable for use with both fountain and dip pens.